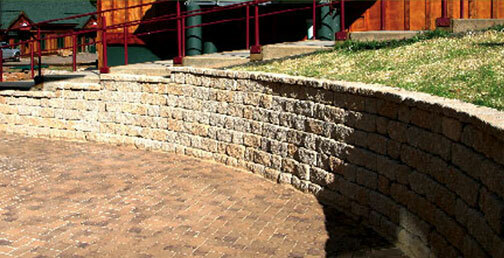 Newcroft is a tumbled, multi-colored retaining wall system with a uniquely warm, hand-quarried look. Newcroft’s unique feature is its multiple depths that naturally sets it apart from other tumbled units. Not just beautiful, Newcroft is also an innovative, versatile retaining wall system created to solve design and installation problems. It’s another perfectly proportioned product from ICD Corporation. Attractive, lightweight, easy to handle and install, The Newcroft System provides strength, stability and beauty in retaining walls up to 6’ high.